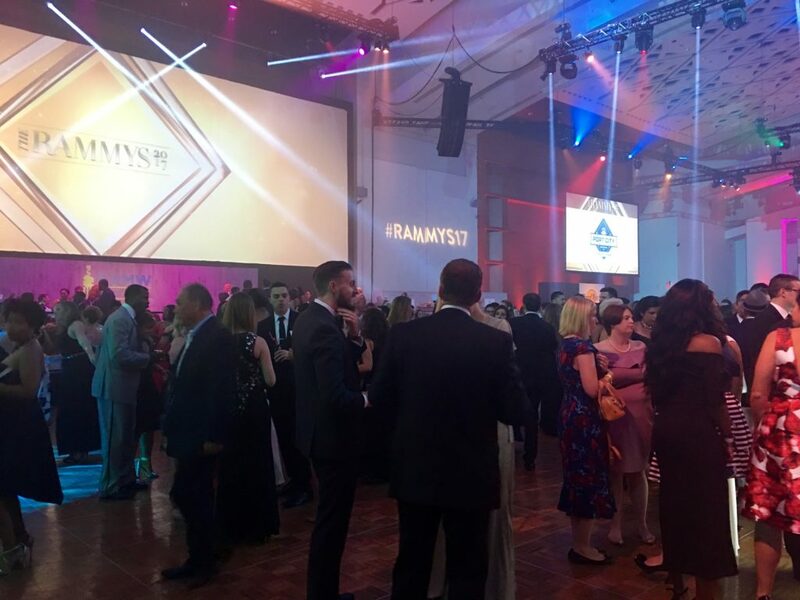 There was glamour, glee, and countless expressions of camaraderie Sunday night as the Restaurant Association of Metropolitan Washington held its 35th Annual RAMMY Awards at the Walter E. Washington Convention Center. 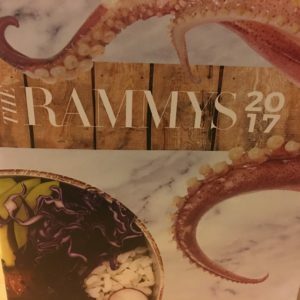 Professionals from all facets of the industry, along with their supporters, honored nominees and recipients in 21 RAMMY Award categories. Winners were consistent in shout outs to their teams, recognizing the collaboration and hard work that brought them success. The selection process for the winners involved the voting public in four categories (Favorite Gathering Place of the Year, Upscale Brunch, Casual Brunch and Favorite Fast Bites) and an anonymous panel of volunteer judges, consisting of food and dining journalists, educators and foodservice industry professionals in all others. I celebrated my birthday at the restaurant in June, and in my post describe how I reveled in the natural beauty of the scenery- both in the landscape and on the plate. I wrote about the Shaw restaurant last year in a post called “Lamenting Lost Leftovers.” The restaurant has became one of my DC favorites. I got souped up at the restaurant last fall. Read about it here. I was happy to meet Convivial when it arrived on the scene in 2015, and wrote a post about the restaurant not long after it opened. I have yet to visit for brunch, which I must rectify soon. Joan Hisaoka Allied Member of the Year: Acme Paper & Supply Co., Inc.
Ashok Bajaj was recognized with the Duke Zeibert Capital Achievement Award.